Yo-kai Watch: reboot of the anime series in April, called Yo-kai Watch! Update: added more details. You will find them below! Back in April 2018, a new anime series based on the Yo-kai Watch franchise debuted in Japan, called Yo-kai Watch: Shadowside. It’s signigicantly darker than the original series (which was pretty lighthearted), and it was based on the movie that was released in December 2017. 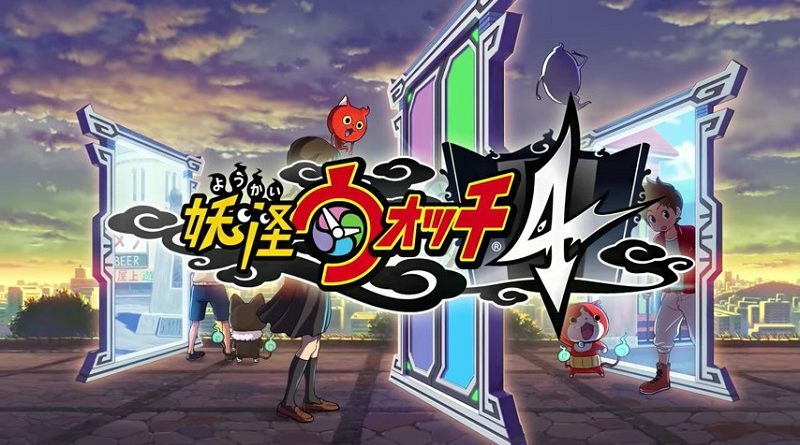 The upcoming game for the Nintendo Switch, Yo-kai Watch 4, is partly based on that very anime series. And this month, the latest issue of CoroCoro magazine (out on Friday) will reveal that a reboot of the anime series is set to debut on April in Japan. It’s called Yo-kai Watch! (yes, the exclamation mark is part of the title), and it will debut on Friday, April 5th at 6.25PM (which is the usual timeslot for the anime series). Keita (Nate) returns as protagonist of the anime series, though this time he’s using a new type of watch called Yo-kai Watch Elder. Unlike Shadowside, that puts the focus on darker elements and a semi-continuous story, this reboot is going back to the series’ roots with a focus on Yo-kai-related gags. Also, said Yo-kai are said to sport their “regular” designs, and not those from Shadowside. Also, it looks like a Spring release for Yo-kai Watch 4 is indeed happening. The next issue of CoroCoro magazine (releasing on March 15th) will have a special campaign, allowing players to win a copy of the game. Of course, this does not really exclude another delay, but at the very least, it’s a (somewhat) positive sign. More details have surfaced from CoroCoro magazine. We learn that Keita (Nate) is the exact age as in the original series, and that several well-known Yo-kai make their comebak: Jibanyan, Koma-san, Whisper, Bushinyan, Orochi, Fubuki-hime, Kyubi, Robonyan F, Komajiro, and more. Quite interestingly, the Shadowside manga will start including more gags starting this Spring. And finally, a new watch toy will be released in late March: the DX Yo-kai Watch Elder Ver. K (Keita’s model), to be used with Yo-kai Ark K.
More details about both the new anime series and game will surface later this week, once the magazine is officially released. Yo-kai Watch 4 (Switch) comes out this Spring in Japan.